We can imagine Wildlife Control being, somewhat lazily, summed up as the perfect post-Foster The People band. The group takes quite a few of the most celebrated and noncontroversial indie tropes of the last half a dozen years, and gives them a mainstream rock treatment that both the Pitchfork-reading and the MTV-watching crowd might go crazy about. 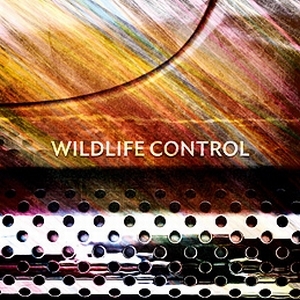 Following the viral single “Analog or Digital” and an EP released in March, Wildlife Control is the debut full-length outing of brothers Neil and Sumul Shah. They’ve worked on the album from Brooklyn and San Francisco (where they’re respectively based), and recorded it themselves with the help of just a few close friends. In the context of the story, their music sounds remarkably polished and hit-worthy. At their most radio-friendly (that being the infectious single “Analog or Digital”), they recall a smoothed-out version of Japandroids with synthy ornamentation and a youthful, sunlit vibe. In slightly more reserved moments, such as our favorite cut, “People Change,” Wildlife Control remind us just how refreshing synth-and-guitar pop can be; it’s a song that evokes Phoenix without sounding like a blatant rip-off.